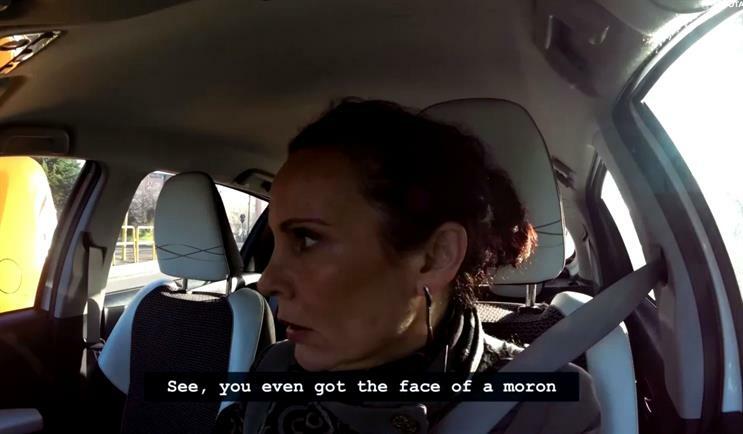 Italians swearing and shouting while sitting behind the wheels of their cars and negotiating the busy streets of Rome could become a thing of the past if they all start driving Toyota's Hybrid vehicles, implies a short film for the car brand. The three-minute film is being rolled out digitally across countries including the UK, France and Spain. Dubbed ‘Fall in love with driving again’, the experiment was conducted in conjunction with Goldsmiths, University of London, and led by Professor Jonathan Freeman. It shows 30 drivers in their cars uttering choice phrases such as "Just do what the **** you want because you’ve got a big car." But when they get behind the wheel of a Toyota Hybrid, their tempers dissipate and the drivers 'fall in love with driving again'.